* We Ship Anywhere In The U.S.
Silver teeth buyers from all over the world seek a company that uses an exact amount of silver in each product. 14kgoldteeth.com is the only company that guarantees an exact percentage of silver usage in each silver teeth product. 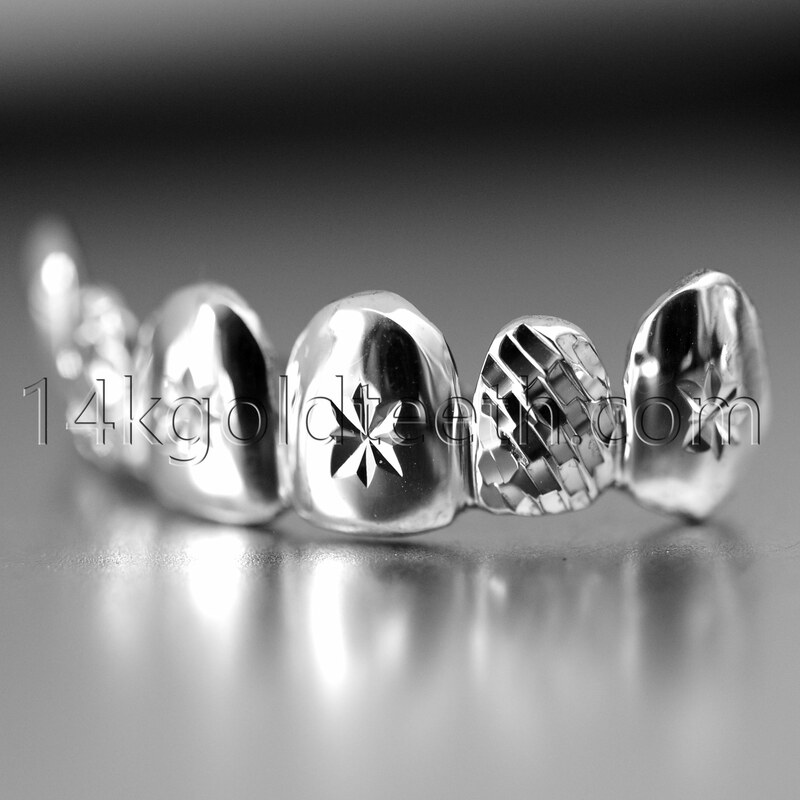 Our products are never plated and we use real silver to perfect each silver teeth grillz. Every product from 14kgoldteeth.com is custom made by our finest designers and each product is guaranteed .925 pure silver. Our silver consists of 92.5% pure silver. With the proper care and usage of our silver teeth, our silver teeth will maintain its purity.